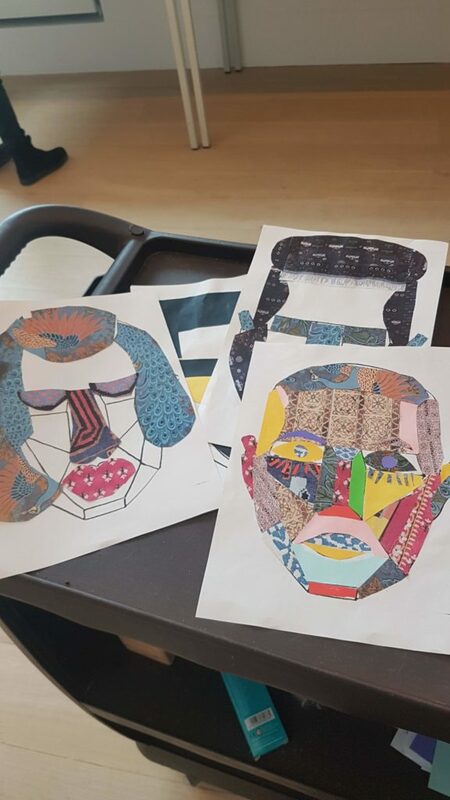 With Sally Thelwell, the Whitworth’s Youth Engagment Coordinator, Ibukun Jesusanmi aimed to create a social campaign to raise awareness towards the issues related to migration and the refugee crisis. 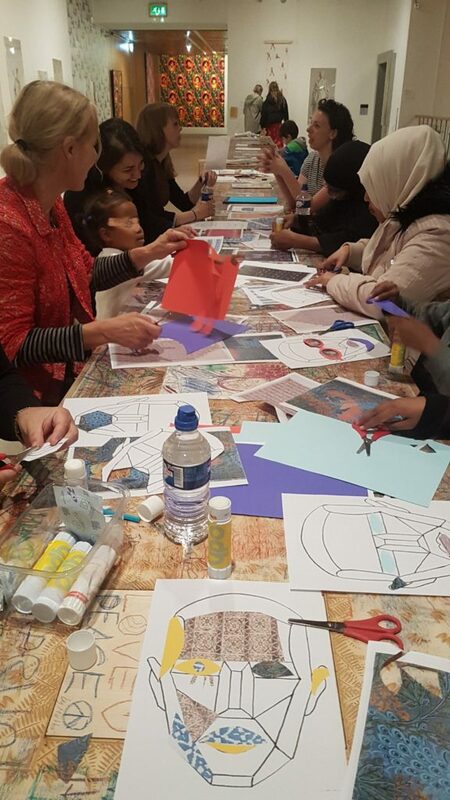 On the 14th of October, they organised a family workshop to explore themes of migration, cultural heritage and traditions in the global world. 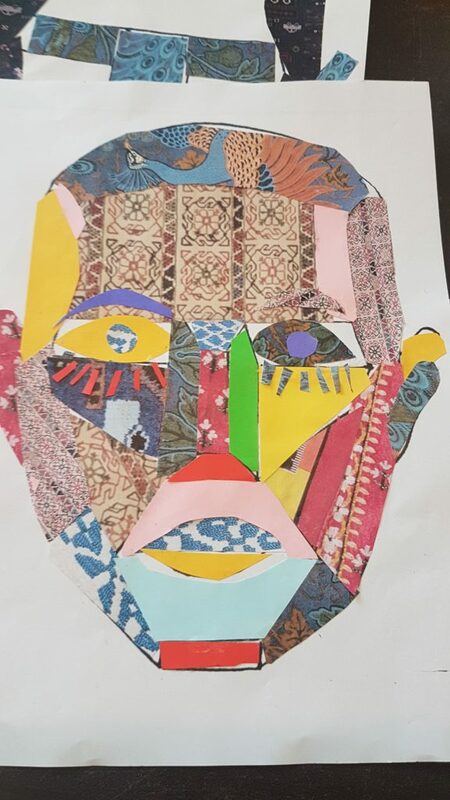 The workshop was centred around the idea of the cultural portrait. With the aim of engaging the most diverse participants, the activities were developed to be accessible as we did not want language to become a barrier. This event discussed cultural appropriation through the lens of healthy cultural sharing. Syrian and Iranian textiles pieces from the Whitworth’s archives were reproduces and printed out for the participants to use. They were invited to make a collage of their own portrait. A dialogue on where these pieces were coming from was also initiated to underline that we all are global citizens. 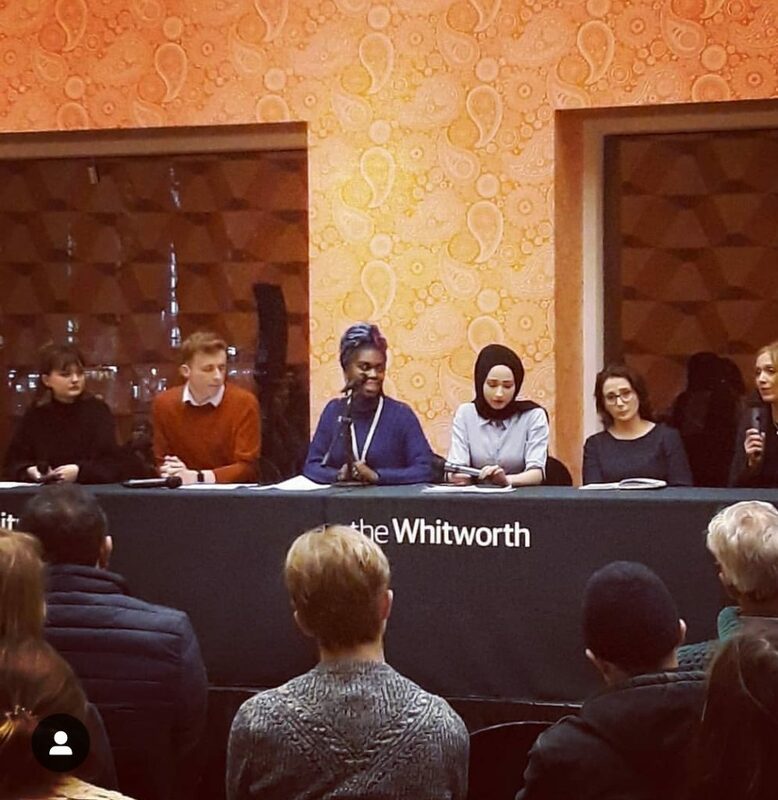 For the Whitworth Young Contemporaries (WYC) Cultural Events series, Ibukun organised a panel discussion on migration and on the perception that the people of Manchester have on this subject. The panel discussion was on the 31st of January, 6-8PM. The event was free and no booking was necessary. This event was arranged with the support of City of Sanctuary (that also ensure that the questions asked were appropriate) and encouraged young people to have honest and frank conversations around migrations and new arrivals to Manchester. 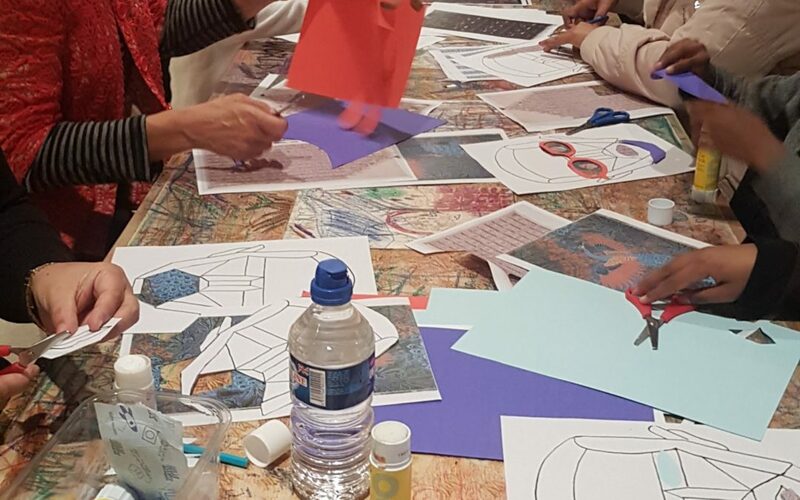 Inspired by the Alice Kettle Thread Bearing Witness exhibition, the Whitworth Young Contemporaries hosted an informative and interactive evening – and at times a very animated exchange of opinions. This panel discussion fitted within the larger project of making the Whitworth a welcoming space for refugees and asylum seekers. This event was also part of the Whitworth’s Thursday Lates programme. The panel inluded Iona Taylor (University of Manchester student and co-founder of Manchester Rights Collective), Alice Kettle (Artist and Professor of Textiles), Rand Aljundi (Artist part of The Travelling Heritage Bureau), Sumayah Saadi (Youth MP) and Charles Latchford (Chair of Manchester University’s Conservative Party). Manchester City of Sanctuary are an inspiring charity. They give concrete help to migrants (including law advice) who are trying to settled down and begin a new stage of their lives here in Manchester. With MCoS Ibukun organised a series of workshop around the themes of storytelling and non-verbal communication, exploring the possibilities of interacting with people who do not speak English as a first language. 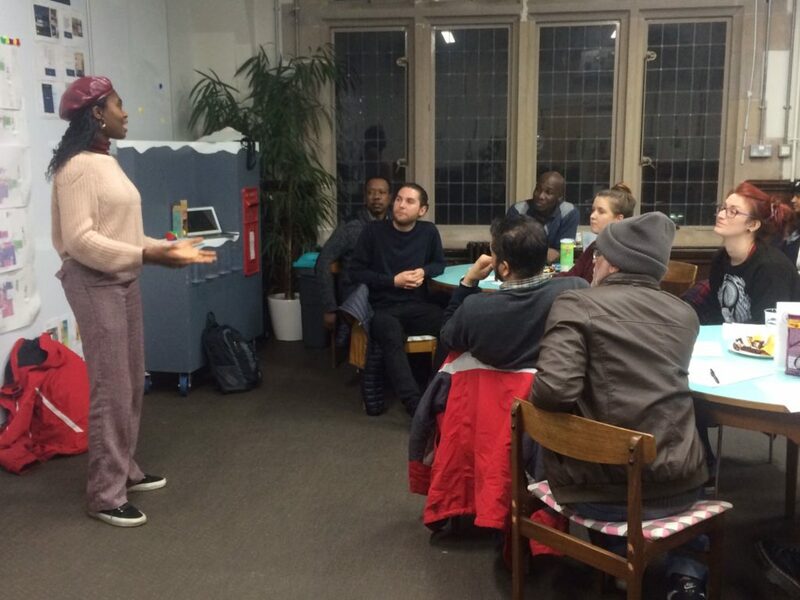 The aim of these workshops was helping migrants and asylum seekers learning English and raise their confidence level. The WYC also took over Manchester City of Sanctuary’s Instagram. The charity ensure that all content was was checked before being uploaded to make sure it was appropriate. 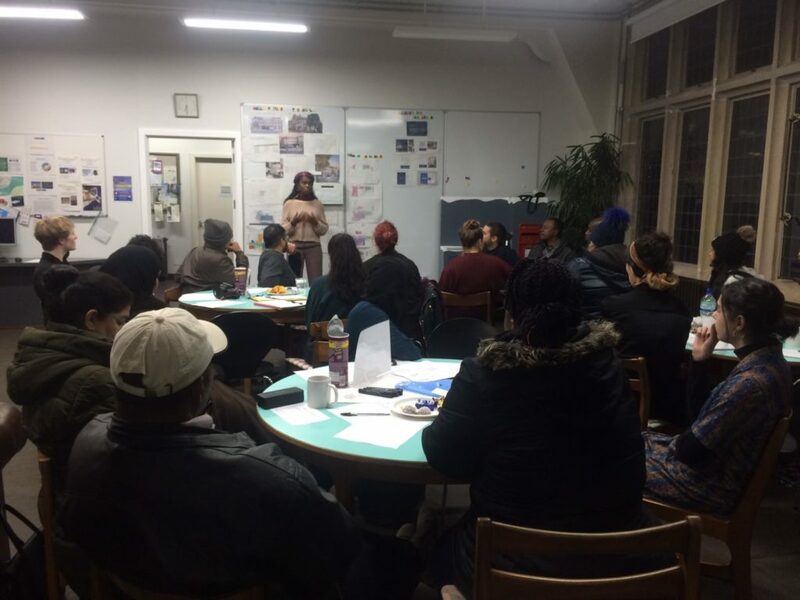 WYC’s goal was that to reach a younger audience – they wanted young people to be informed about refugee and asylum seekers, and what role Manchester City of Sanctuary can play to better their condition.